A bee exterminator is available now in Chula Vista to give you a free estimate. Our bee exterminators are highly trained with years of experience performing bee extermination and removal. Call Adios Pest Control today for all your bee removal needs at (866) 955-7378. Bees are amazing creatures. Without their indispensable presence, the entire ecosystem might be in danger. But still, you don’t want them in the house and who would really wants to stir up a beehive—at home or at the office. Stories about the disappearance of honeybees focused attention on the disappearance of bees around the globe. Bee Extermination is often a necesary solution, but this was not the cause of the bee disappearance. Although the news media has sensationalized the story, recent data shows that the “Beepocalyse” has been greatly exaggerated. The pest control industry was often targeted as one of the possible triggers. New information shows insecticides were not a major cause. The bee population is coming back thanks to tracing the real source of the threat to a new parasite and the introduction of methods to fight it. Adios Bee Removal performs several thousand bee removal services every year throughout southern California, bee extermination is the most often used service. We use little to no pesticide when performing our work. A licensed bee exterminator can assess your bee problem and provide you with several options to resolve it. 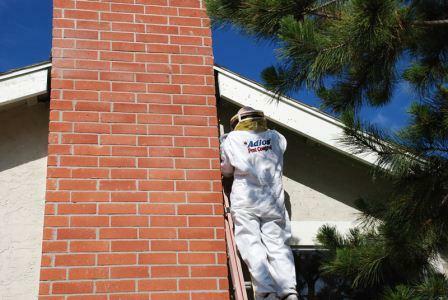 Adios Bee Removal provides live bee removal services as well as bee extermination services in Chula Vista daily. At Adios Pest Control, we save bees from extinction—and from becoming a problem at your home or office. But we know how important bees are to all of us and use methods that,for the most part, avoid chemicals and pesticides entirely. Adios Pest Control employs only experienced bee exterminators and/or pest management professionals who can appropriately control colonies or swarms of honey bees. Once the colony that resides inside a wall or attic has been eliminated, the building owner will need to open the wall and remove all the honey and honeycomb. 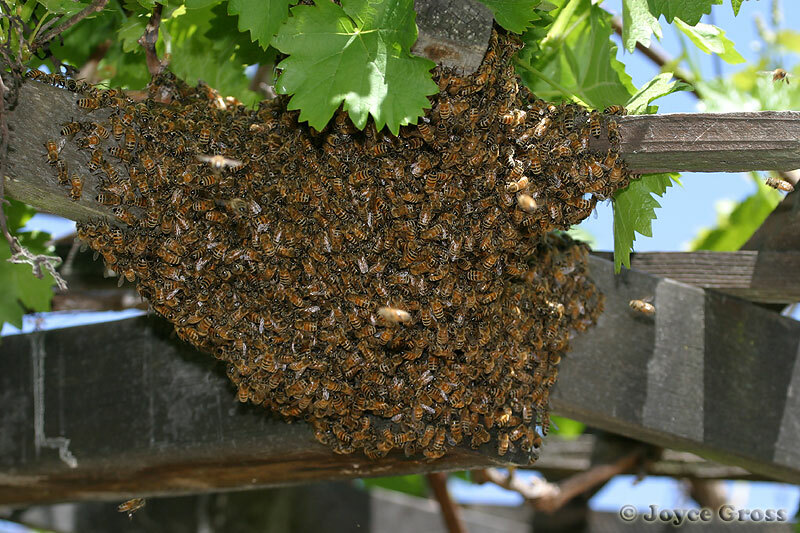 If not removed, the honey will rot, produce strong odors and seeping stains, and will attract other insect pests. Adios Pest Control can provide LIVE bee removals from your property or structure! Call Adios Pest Control today and we will arrange for one of our bee extermination and removal experts to assess your problem and provide the right solution. Adios offers exceptional customer service. Our prices are affordable and we guarantee our results. We solve your bee problems in a timely manner and follow-up to make sure the bees have been completely removed or you won’t be charged! We promise to take care of your bee problems with effective solutions that protect you, your home or your office. Call us today at (866) 955-7378 and say ‘Adios‘ to unwelcome bees without endangering the species. We offer a money-back satisfaction guarantee on all our bee extermination and removal services. Adios Pest Control is located in Eastlake, Chula Vista.